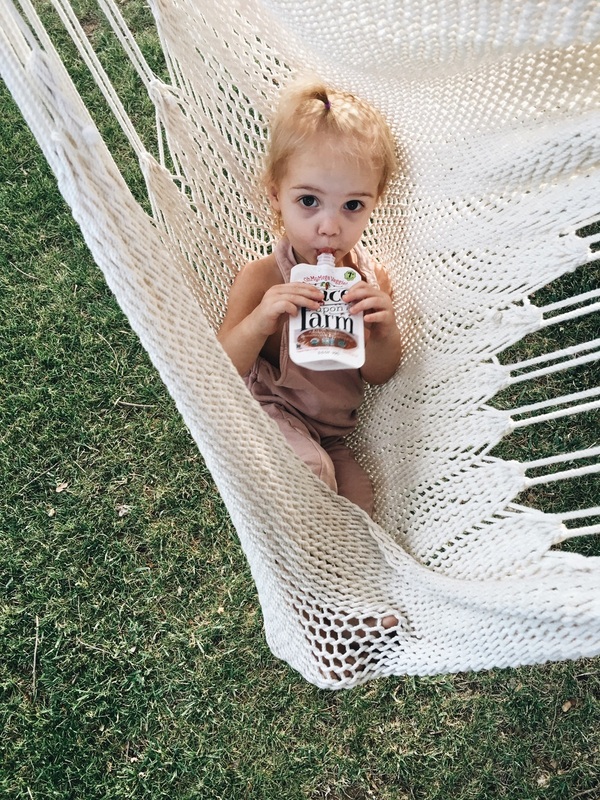 I am sure you have seen or even bought the baby fruit pouches that are all over the grocery stores. I know when it was time for the girls to eat them I was so excited because they weren’t around for the older kids. 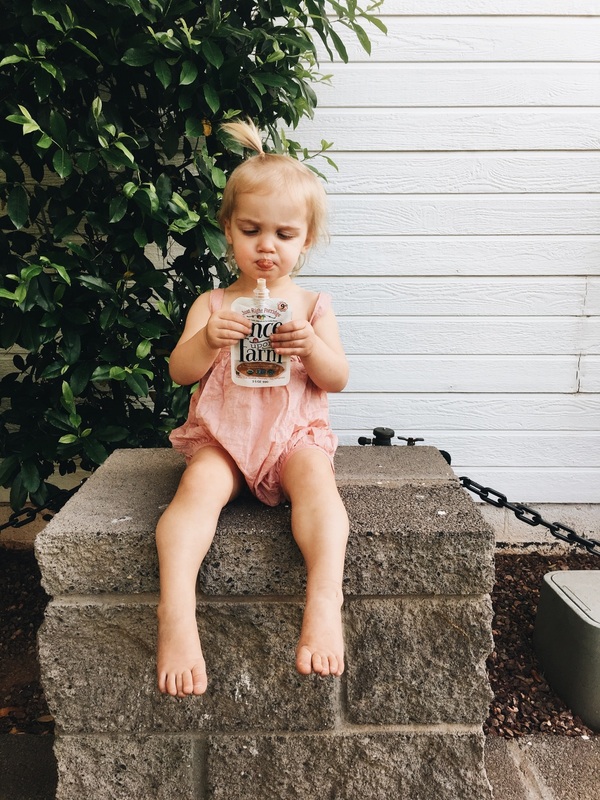 I loved the idea of healthy mixes of fruits and veggies that they could hold and eat all by themselves, well with a little supervision. I bought all different brands and honestly they were all good, even Kaitlin asked me to buy them for her. 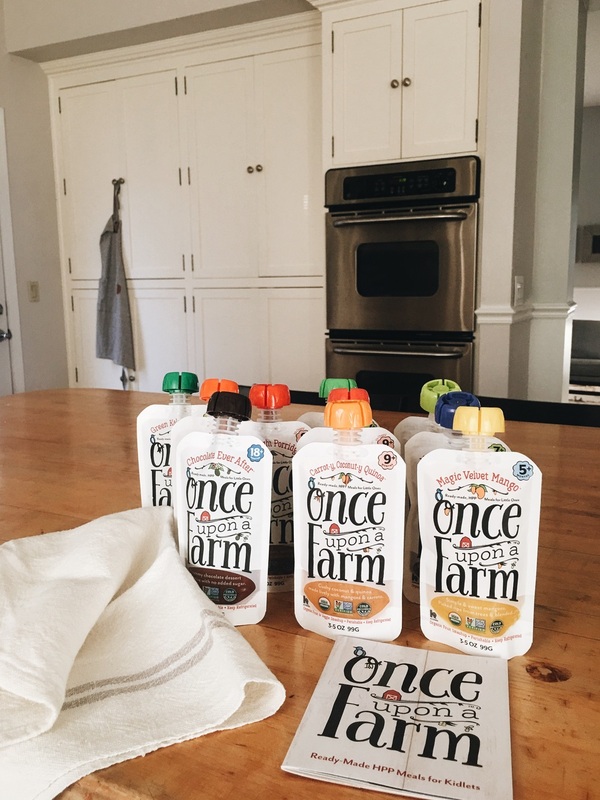 It wasn’t until I tried Once Upon a Farm, that I realized they weren’t all the same, well at least between them and all the other brands. Literally each pouch, no matter what flavor it is taste like it was just picked off the tree, pureed and then put in the pouch. They have texture like they would if I blended them at home. And the best part is you can literally taste each individual flavor in one pouch. I don’t even have to look at what I am eating to know what is in there. I mean honestly I can’t even adequately describe how amazing this line of food is. 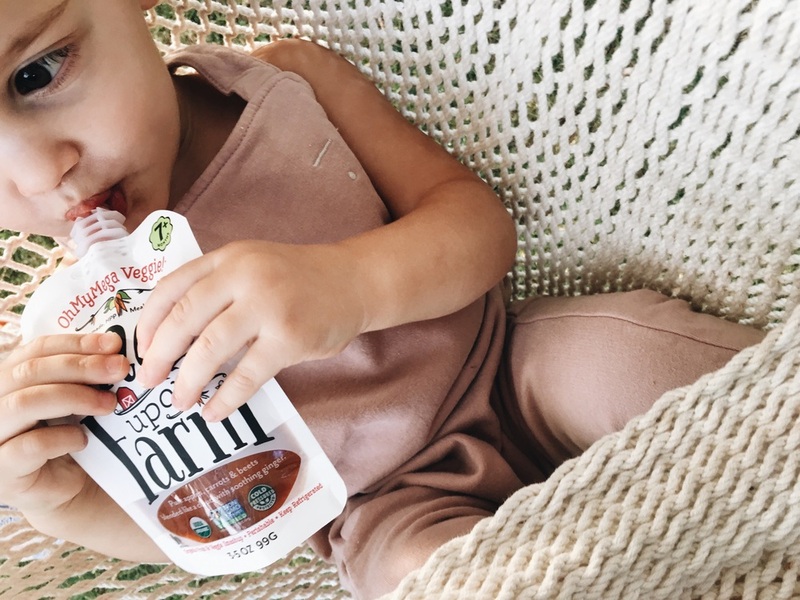 Other brands of baby food, which are highly processed are heated and sometimes twice which pretty much eliminated any of the healthy benefits of the foods themselves. 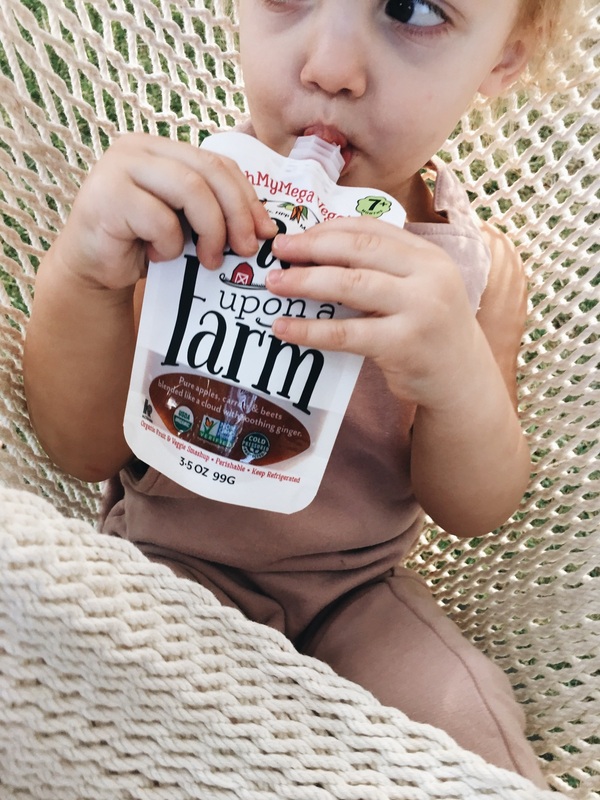 Once Upon a Farm however is an organic, non-GMO HPP baby food. Instead of being heated they use High Pressure Processing, also known as Pascalization. 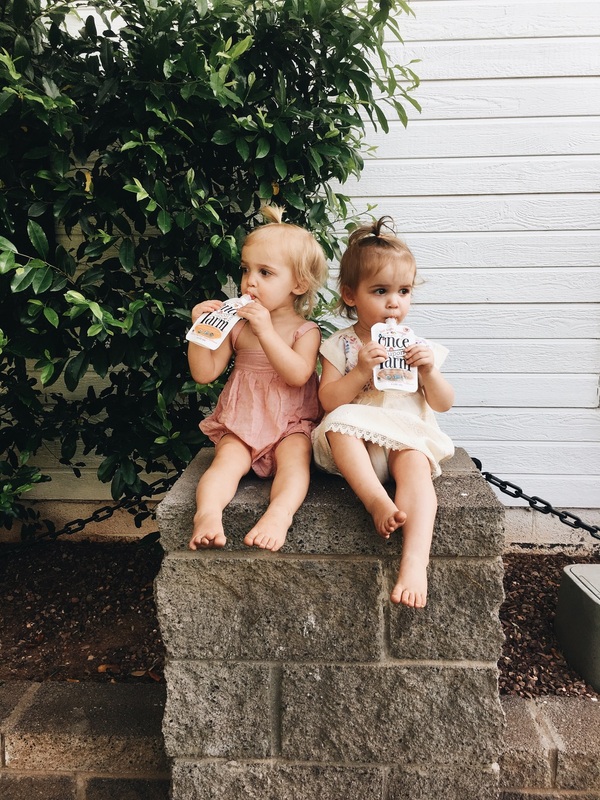 This process eliminates the harmful stuff but keeps all the good stuff that we want our kids (and us) to have, like vitamins, minerals and enzymes. They never use concentrates, processed purees , or preservatives. Honestly when I found out they were refrigerated I was like hand them over. That in and of itself screams fresh and healthy to me!!! And if my opinion isnt enough, take it from my 13 year old daughter Kaitlin who loves them and regularly eats them for a snack. Kaitlin begged me to let her do a taste test of all 10 flavors and write her own evaluation, sooooo….here is Kailtin!!! 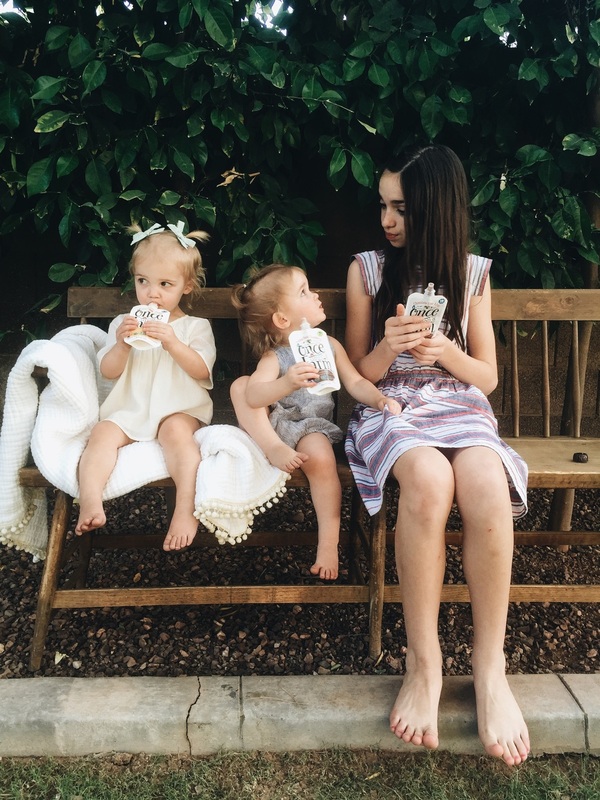 Chocolate Ever After-I’m a huge chocolate lover, and most people know that that not completely healthy, however this fruit pouch makes it all work! It taste just like rich sweet chocolate but it is sweetened with fruit…now who doesn’t love that? Wild Rumpus Avocado- The pineapple literally shocks your taste buds…screaming freshness. This pouch reminds me of when we lived in Dominica. It’s a tropical island and there I had the best pineapples and other tropical fruits…which we picked ourselves. Oh My Mega Veggie- This one, like the others, has very distinct and fresh flavors and an amazing texture. I don’t know quite how to explain it but the way it blends together is unlike any other squeeze fruit brands I’ve tried. It is smooth but still has some of the texture from the fruit that is in it. It is also sweet and delicious…it isn’t like your just eating straight veggies…this is definitely one of my favorites. Just Right Porridge- Just like the package says, this one makes you feel cozy…like I am sitting next to a fire enjoying one of my grandmas oatmeal raisin cookies. I love the texture of this one also. Each pouch has a completely different texture and this one is chewy. Carroty, Coconut-y Quinoa-this one is a bit tangy, and I love it. I can pick out each individual flavor. The coconut, the mangos, and the carrots all shine through in this one. The quinoa makes the texture just perfect…making this one of my favorite flavors. The Finest of Pears-This one is sooo smooth, like a silky blanket made of pears…lol!! This one is very calming and subtle. I felt like I was lying in an actual pear orchard, soaking up the flavors and smell while I slowly drifted off to sleep. Green Kale and Apple- This one is amazing, it is just like an apple and banana smoothie…except the best one I have ever had. This one taste so fresh, like I just picked all the fruit myself and blended it all up!! The apple makes it naturally sweet and you have no idea you are eating kale. Mama-Bear Blueberry- The name says it all. My dad has always told me that blueberries are one of the most healthy fruits and I was soo glad because I love them. This pouch I would say is one of the best tasting, healthy things you could ever eat. This one is definitely on the top of my list. Sun-Shiny Strawberry Patch-This one has amazing texture and flavor. It taste like amazingly fresh and sweet strawberries that were just blended in the blender. It wasn’t overly blended so it still feels like you are biting into ripe wonderful strawberries…like you are just sitting there eating a bowl of strawberries…one of my favorite things to do I might add. Magic Velvet Mango-This one is Aaaaamazing. I love mango and that is just what you taste….smooth delicious mangos. This pouch too reminded me of Dominica. We ate the best mango on the island and this pouch taste just like the ones we ate…which is a huge compliment. Well that is my review…all I can say in summary is that these pouches stand alone at the top compared to their competition. They are so fresh and so good that I literally had to beg my mom to let me be the taste tester on these. I wasn’t going to let anyone else in family get to consume all 10 of these delicious pouches..
yeah I use A6 and I edit with priime and sometimes snapseed thanks!!! That is a very cool hammock! Laura on Partying With BoomDash!! Kate on WELL WE’VE BEEN BUSY!! !